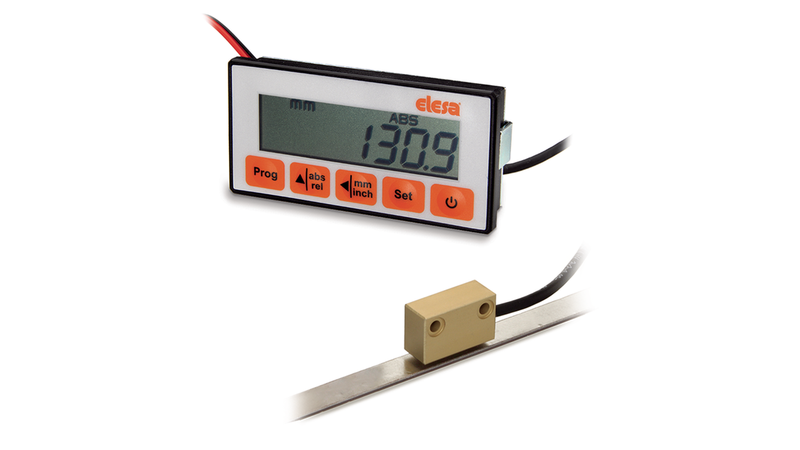 MPI-15 measuring system, made of a LCD multifunction display with built-in magnetic position sensor, combined with the magnetic band M-BAND-10, is a complete system for the measurement of linear and angular displacement (with a minimum radius of 65 mm). Characterised by an extremely easy assembly, it allows precise alignment and positioning, reducing time and machining procedures to the minimum. Multifunction LCD with 5 function keys. External battery power supply 1.5 VDC. Buffered memory during battery substitution. Material of the magnetic sensor envelope: anodised aluminium. For further information read the operating instructions.